At Yaniv, an architecture and landscape gallery, you can get rustic yet contemporary home decor, all that is made of concrete. If it’s getting harder and harder to find good home decor, it gets hardest with concrete. But when your home has gone through the brick wall phase or the wooden flooring phase, unleash a new phase with a new material. Something a little more concrete, literally, and that will actually stick around for a while. 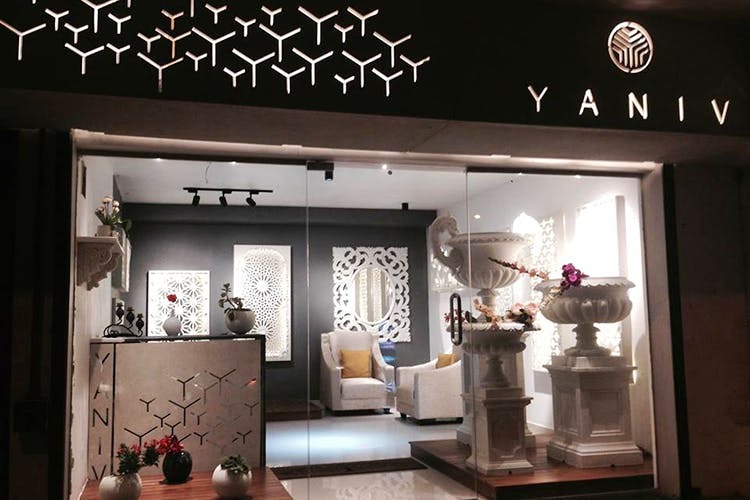 Originally part of the mother company ‘Authentic Work’, Yaniv does large architectural projects, but also have a retail section in Kalyan Nagar to ensure your home can have the some rustic feels. Largely focusing on planters and garden products, they also have on sale candles, candle holders, mirrors, Buddha statues and wall art in exclusively customised sizes, designs, colours and patterns. Go ahead and replicate that Pinterest picture you’d saved months ago. Ethnic, contemporary, classical, rustic, no matter what you home, they’ve got what you’re looking for. The exposed concrete collection is apparently long-lasting, lightweight and eco-friendly. The price ranges are extremely economical depending on what you’re looking for. If you need to get your friend a cute gift for her new house, you could go ahead and get her some small table products ranging from INR 500 to INR 3,000. We’re thinking leaf shaped bowls to hold keys of the house, or even the heart-shaped one for pens, notes and trinkets that don’t fit anywhere else. We do love the edgy candle holders, especially the circular one which looks rather futuristic. One product that caught our interest was the concrete lighting which is something pretty rare to see. These lightweight lighting accessory will add a modern European touch to your house and you can get one of these for just INR 1,200. The larger products such as big pots, show pieces, wall hangings are ranged between INR 3,000 to INR 40,000. Yes, those are a bit expensive, but quite the investment.